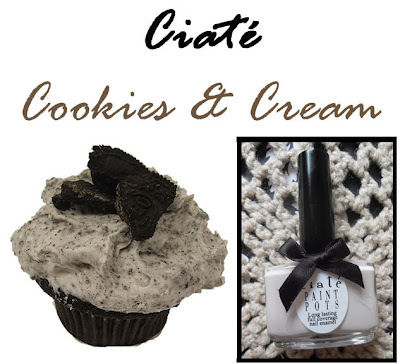 Cookies and cream is another colour from the Candy Couture collection from Ciaté. 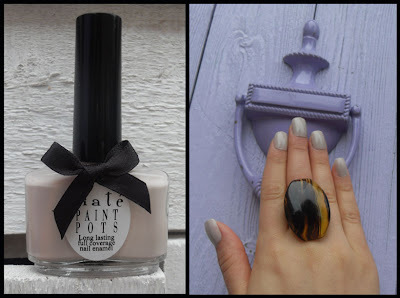 It is a light taupe / pastel gray colour which also looks a little on the mauve side too. It's the perfect unique neutral colour, I ♥ it. It will go with ANYTHING. That's such a pretty color! & the bottle is as well!! OMG that cupcake definately looks YUMMY. What a unique nail polish color!